Well, after a lengthy delay, I was able to look at the gofundme website (which was blocked for access for me by my work network), which looks legit, and where shillout has raised funds so far. shillout, I do wish you the best in your campaign. If you are in Nigeria, then why do you use a German mobile phone as contact number, and why is your site registered by German 1&1 ? It would prove he was committed, legally or otherwise. The website does not hide the German connection it gives a contact address in Hamburg. Babasile Daniel Oladele-Emmanuel can be found in Linkedin. Looking at the website and the photos and reports it contains it seems clear to me this is a genuine fundraising attempt by a real person who has been working in Nigeria teaching a range of people, mainly children, about new technology. It looks like they had a good time working with a 3D printer and building a solar panel from scratch. The huge number of scams that originate from Nigeria obviously don't help their cause. Now I am starting to get pestered by relatives of Colonel Gaddafi in Lybia wanting me to help move their money about. This reminds me that I am owed a cool beer under an Acacia tree, for help I once gave over the Internet, should I ever visit Nairobi in Kenya. Fool you once shame on you, fool you twice you are a fool. So, now that it's legit whose opening their wallet? I believe the spammers from Nigeria have donated. That was a conversation killer. It is a pity that they they cannot at least get help on the forum but they seem to have a poor internet service and an "epileptic power supply" ! Is it treason in this forum to say that they might be better to use Raspberry Pis rather than Arduinos? How do you write the plural of a Pi, Raspberry Pis just does not seem right? They only seem to have a couple of PCs so how are they going to program 100 Arduinos? With Pi they could use any PCs they have to run the Raspberries headless. They also might stand a better chance of getting old keyboards, mice and monitors than getting their hands on working PCs. The threshold with a Pi is much higher than that of an Arduino. 100 Arduinos doesn't mean they all have to be programmed at the same time. A school with 1000 students doesn't mean those 1000 students will always be in the same classroom. The official Arduino team checks out this project to see if it is kosher. 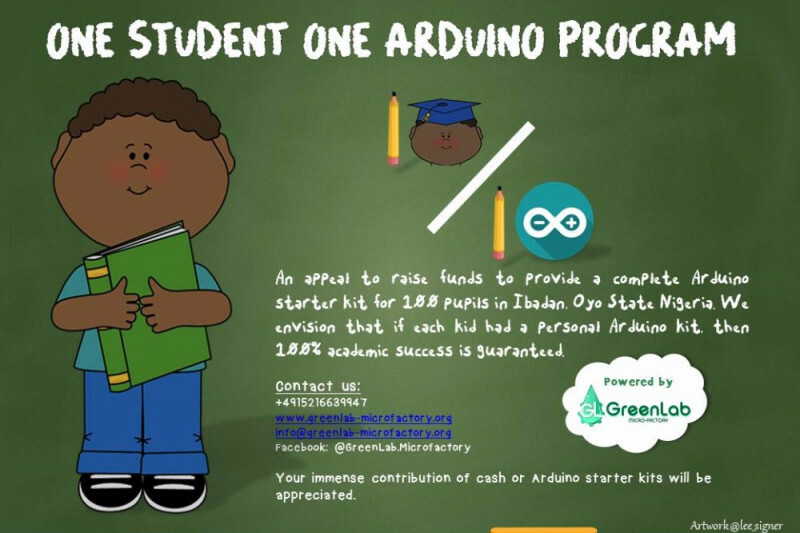 If it is the Arduino folks set up a system where we can contribute money to a fund to pay for the Arduinos. When the Arduino folks have enough money they can send the Arduino Unos to the project. This won't cost the Arduino folks anything except some of their time - and maybe they would be kind enough to make the Unos available at cost price. If they do set up a fund like that I would be prepared to contribute the price of one Uno - as long as I can pay with Paypal to an Arduino account. I am not prepared to pay anything directly to the charity. If you can get the Arduino people to do that I would chip in a Uno as well - that would be 2% of their target already. 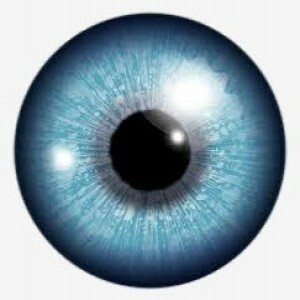 Is there any official connection between this site and Arduino? Is there any official connection between this site and Arduino? The Arduino folks pay for it and maintain it. But they hardly every read it. I thought there would be more of a debate about PI v Arduino for this application. If you only have a couple of PCs surely you only need 10 Arduinos plus 100 breadboards? The lack of an OS on the Arduino makes it very easy to program, but learning to program hardware is still jumping in at the deep end. With Pi there are more tools to teach programming such as Scratch and Turtley for teaching Python, plus they can dig deeper if they want to. If they had plenty of PCs to program the Arduinos I could be pursuaded. With access to the Arduinos restricted by a lack of PCs I think more kids would get a better experience if they went the Pi route. No. You can get the Pi with NOOBs on the SD card so plug in the Pi and it boots to the Raspbian (Debian Linux) operating system. What you do need is a keyboard, mouse and monitor but those might be easier to come by than working computers. If you do have PC you can also run the Pi "headless" from it.